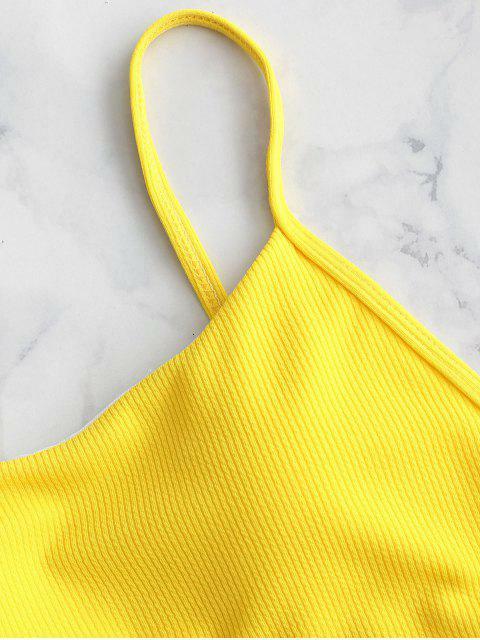 [18% OFF] 2019 ZAFUL Ribbed High Waisted Cami Bikini Set In BRIGHT YELLOW | ZAFUL ..
Love this suit! Not tooooo cheekie but still super cute! I got small and fits well. I’m 5’4 126lb .. a medium top would have probably been better but still fits . Super cute True to size I highly recommend!! !